The MAKO Spearguns Double Flopper Pro Style Pole Spear Tip is great for medium size game such as Grouper, and reef fish. 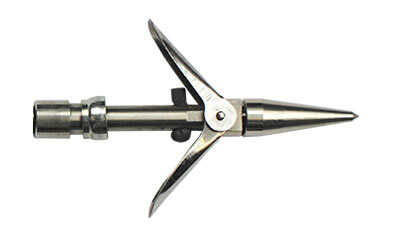 Our Double Flopper Tip includes a retaining ring which holds the barbs closed for easy fish removal. Measuring 3.5” inches in length, it has a 6mm female thread which attaches to any standard (6mm threaded pole spear shaft). Pro Style Double Flopper Tip connects to the Big Game Pole Spear using the 6" or 12" Adapter Shaft.